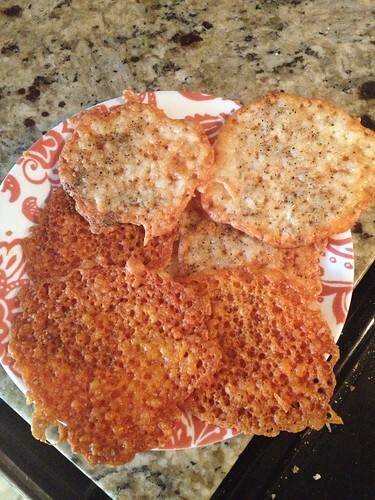 The Glamorous Life of a Housewife: Cheese Crisps. I've been on a low (slow) carbohydrate diet since August. The difference I feel in my energy levels is incredible. I went off of it for a month (through the holidays) and was pretty floored at how crummy I felt that month. 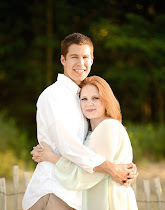 I was so tired! I have found several great recipes, but I wanted to share one that is super delicious. 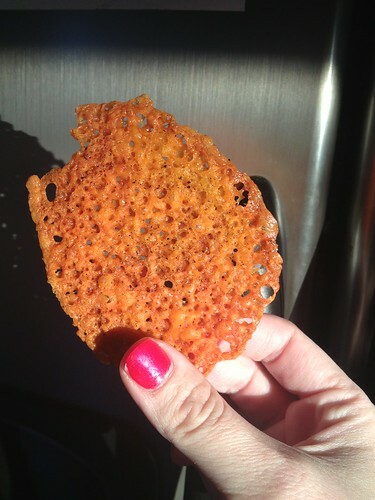 Cheese crisps! Sometimes I crave something crunchy like a cracker or a chip, so these fulfill that desire and they are super delicious. And zero carbs. The cheddar ones taste EXACTLY like a Cheez It. YUM! Line a baking sheet with parchment paper and grate your cheese of choice. Mound them in little piles and add some spices if you'd like. If not, omit. 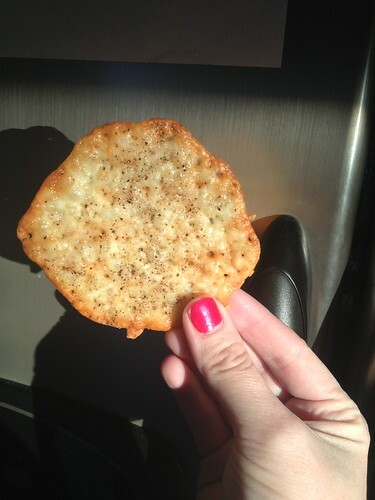 Stick them in a 375 degree oven and in about 10 minutes or so you'll have the perfect little cheese crisps! Here is my cheddar and black pepper ones. And these are mozzarella and black pepper. These sound so good. Love cheese! Yumm Oh! I will have to give these a try! Giving these a try today for my little boy :) Thanks for sharing. AWESOME idea!!!! I too am on a low carb/high protein diet and need a little more crunch! Can't wait to try these next weekend!